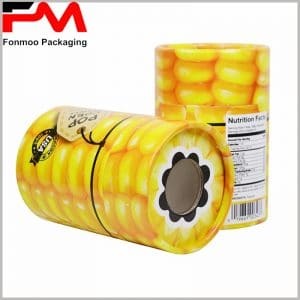 Many consumers think that the use of large kraft tube packaging boxes is very small and plays a very small role, in particular, there is general packaging without printing content and printing patterns. This is a misunderstanding that a large cylinder box can be used to hold a meter, pants, electronics, and even a gift box. Kraft paper tube packaging without any printed content, although playing a limited role in propaganda, but can be mass production, reduce the cost of a single package, can be widely applied to all walks of life. Can kraft paper without logos and brand names be used for round boxes? The answer is no. Although the main raw materials are mainly kraft paper and cardboard, and there is no direct printing on kraft paper, the use of stickers can be used to embody the brand logo, company name, and product features on stickers. You can put the stickers in a well-designed location in an online store or a print shop to make them into tube boxes for cosmetics, gifts, foods, etc., to maximize publicity. Large cartons are packed with more products and have a larger weight, so the use of a hand-held belt makes the carrying of products more convenient. The color, style, and length of the hand strap can be selected according to the product. We can deliver it to you, or purchase it in the local market.